In order to provide learners a memorable and captivating learning experience, it is important for us to stay up to date with the emerging e-learning trends. Recent advancements in technology such as mobile phones with their in-built ubiquity have totally revolutionized the training methodology. Employees in organisations are using hand-held devices for different purposes such as browsing the Internet, checking mails, online shopping, social networking, learning, etc., Research states that people operating hand-held devices are more in number (around 51%) compared to people working on the Internet (around 49%). 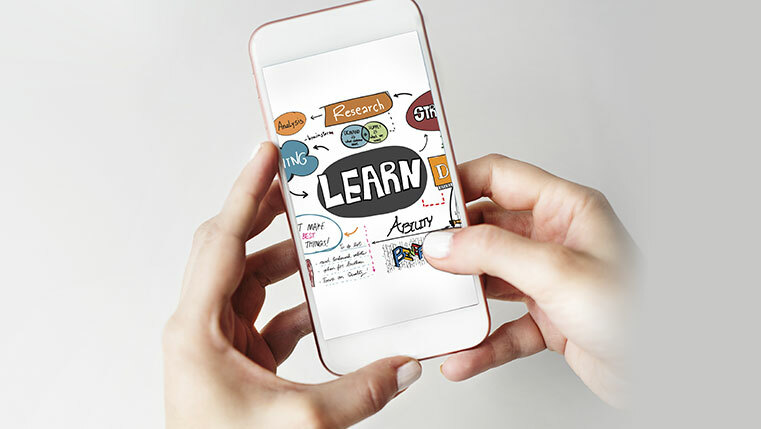 As a result, all the organisations have realized the existence of a need to make e-learning content accessible through smartphones and tablets to enable just-in-time learning on the go. Responsive design is mainly useful when you’re newly developing an online course. Well, now a question will surely hit you regarding the conversion of your existing e-learning courses into m-learning. How can the content be repurposed so that you won’t spend too much money and time to create a completely new mobile course? Here are 7 tips to consider while repurposing your existing e-learning to m-learning. Firstly, make an outline that represents the entire m-learning course. This includes the prevailing learning materials along with new ones. The outline should specify the learning outcomes as this will direct us throughout the conversion process. The advantage of creating an outline is that you now have all the content at one place and you can review it. Once all the inputs for your m-learning course are gathered, you along with your team have to review it thoroughly and decide on what is important and what is not. Remember to incorporate only meaningful and significant images, graphics, and content as the size of mobiles device is smaller than that of a PC or a laptop. Here the unnecessary graphics, images and nice-to-know information can be provided in the form of resources. Be thoughtful and include easy-to navigate and more practical interactivities as the learners will take up the course using mobile phones via touch screens. Interactivities should be simple and straightforward and on the other hand audio and video should be used only if important. For example, interactivities such as “rollovers” should be converted to “click on tabs”. Information or the lessons delivered through m-learning must be short to create appealing and best learning experiences. In order to help learners rapidly absorb content, you have to chunk the content into small manageable units. This can be by carefully analyzing the inputs gathered for an m-learning course. Also, check whether the current tools can help you repurpose the content for mobile format. Consider the learning environment and develop easy navigation when repurposing your e-learning content. Make sure your m-learning course is easily accessible and understandable by the learners, irrespective of time and space barriers. For example, when including audio and video elements in m-learning, provide learners the opportunity to adjust the volume or pause/exit the presentation. Adjust the settings of your m-learning course so that graphics and multimedia elements get automatically resized in order to fit your mobile devices. Also have centralized administration for your courses. Even if a mobile is lost or stolen, the content on the mobile should be secure and properly encrypted. Last but not the least; make sure the course grabs the attention of the learners’ right from Page 1. This means the content in the course must be appealing and attention grabbing. Also if you feel your content is lacking somewhere, you can rework on that and make it captivating. These steps will ensure you to repurpose your e-learning courses to m-learning within the estimated costs and time. This in turn enables just-in-time learning on the move. Please share your opinions and thoughts on the same! Editor’s Note: This post was originally published in May 2013 and has been completely revamped and updated for accuracy and comprehensiveness.